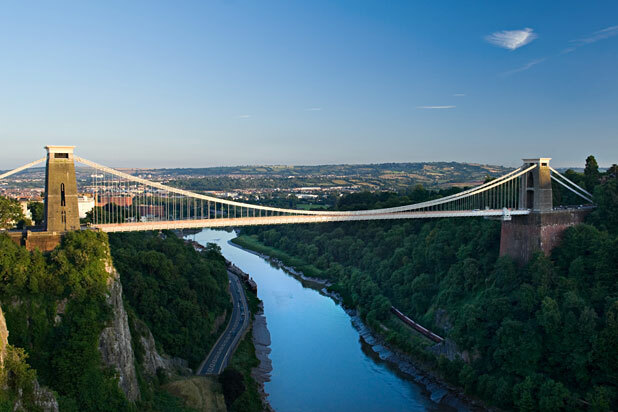 The world's first Bungee jump was made on 1st April 1979 (April Fool's day) from the 250ft Clifton Suspension Bridge in Bristol, Gloucestershire, England. 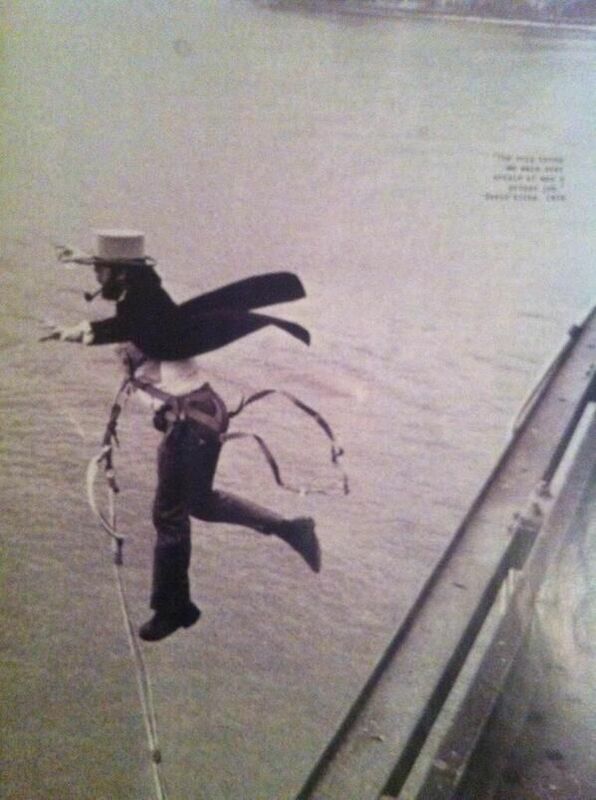 David Kirke (born in 1946) was the first to jump of the bridge in top hat and tails and a bottle of champagne in hand followed by Simon Keeling. They used an elastic rope, known as a 'Bungee cord' (bungy or bungie) , to emulate and improve on a kind of urban vine jumping. David Kirke, Chris Baker of Bristol, Simon Keeling, Tim Hunt (brother of F1 champion racing driver James) and Alan Weston were members of the Oxford University Dangerous Sports Club who were dedicated to formal dress, abundant champagne, and imaginative stunts. The jumpers, led by David Kirke, were arrested shortly after, but continued with jumps in the US from the Golden Gate and Royal Gorge bridges. David Attenborough and a BBC film crew brought back footage of the "land divers" of Pentecost Island in Vanuatu, young men who jumped from tall wooden platforms with vines tied to their ankles as a test of their courage and passage into manhood.